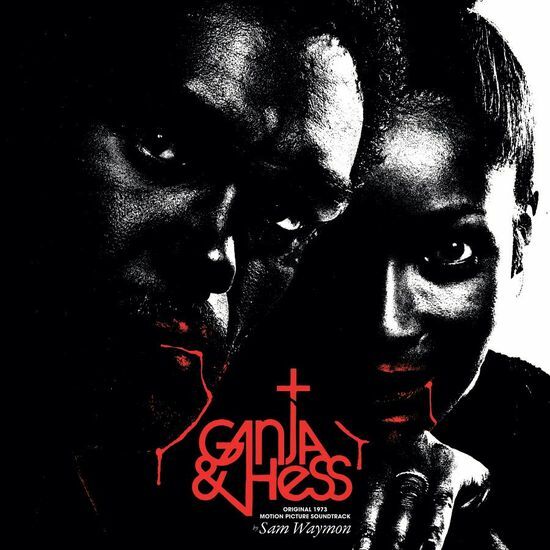 The music from Ganja & Hess, by Nina Simone's brother, Sam Waymon, is the 563rd Soundtrack of the Week. 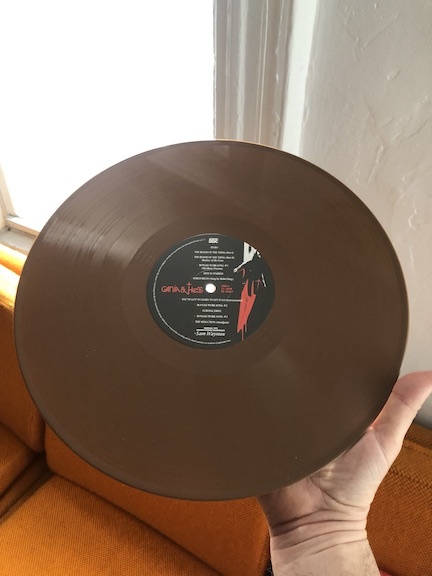 The A side starts out with an "Intro", a voice counting numbers and being run through an echo, and then a plaintive solo piano playing a melancholy piece. Then are parts one and two of "The Blood of the Thing",a male voice singing a spiritual-influenced song about blood and slavery. “Thousands of strangers bled today.” The second part is subtitled "Shadow of the Cross". "Bongili Work Song" is a field recording of people singing and dancing but at a distance and run through an echo. The liner notes explain that it's “a recording from the 1950 Smithsonian Folkways collection Music of Equatorial Africa" and the original version is included as a bonus track. Sounds of thunder, drones and alarming musical stings form the background for "Hess Is Stabbed". And then there's the Mabel King "March Blues", what you’d expect, classic old timey intensity, just piano, trumpet and voice. It's accompanied by sound effects and some other music that must belong to the action on screen. The song eventually gets run through an echo device. "You've Got To Learn To Let It Go (instrumental)" is a pleasantly groovy song with a friendly beat and a cheery melody played on flute and vibes with support from horns, a nice instrumental pop soul number that also has sound effects from the movie. "Survival/Drive" is an interesting electronic cue with synth and delay, getting a lot out of a few notes. The last piece on the first side is "The Seduction (Analgam)", in which zithers or instruments much like them set the tone, with a low throbbing note above which strings are plucked and strummed, creating a dreamy and richly textured atmosphere in which other instruments appear and disappear. Eventually the zithers fade out, electronic instruments and various shrieking and yelling come in and it builds in intensity. This sort of fades out and into the vocal version of "You've Got To Learn To Let It Go". The Evangel Revival Church piano and choir sing the religious number "Just As I Am", followed by a reprise of "The Blood of the Thing". "Resurrection" is a short percussion cue that sounds like mostly hands clapping. Then a children’s choir sings "There Is a Fountain Filled with Blood". This is followed by the studio version of "You've Got To Learn To Let It Go" and it's awesome, with a deep groove and impassioned singing. The record concludes with a couple of bonus tracks: The previously mentioned Folkways recording and something called "Theme from Blood Couple". I'm not sure what that is other than a solo synth piece “reassembled by Fima Noveck”. It’s cool and spacious, though.